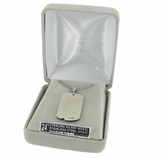 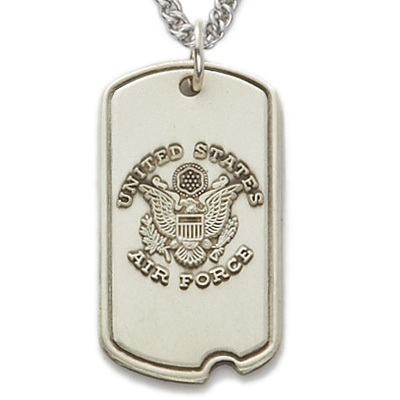 Item Description: Sterling Silver U.S. Air Force Dog Tag plain back for engraving. 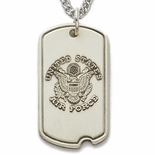 NOTE: Dog Tag includes chain and is delivered in the jewelry box. 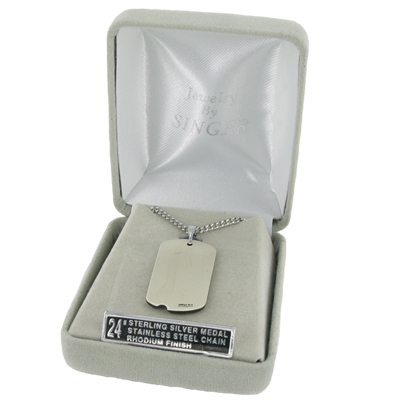 Engraving is available on back side only.